This week, we cover another loan option that you might have thought would be off-limits to most home buyers – adjustable rate mortgages or ARMs. You might be surprised that ARMS are much different than they were years ago, and they could be a good fit for you after all. Most buyers have heard scary stories about ARMs — adjustable rate mortgages — from family members or from headlines years ago. It seemed like homeowners would face crazy increases and end up getting in over their heads. That all was true back then. Today’s ARMs are not that way at all. Gone are the risky features such as negative amortization (when you could pick your payment amount and add any amount to the loan balance, yikes!) or balloon payments. 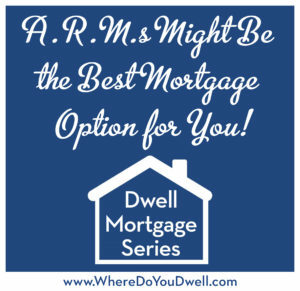 In fact, depending on how long you plan on owning your first home, an ARM could be a cheaper and more affordable alternative for you than a fixed-rate mortgage. This can be true for many first-time buyers who don’t plan to stay longer than 7 years in their next home. However, you should always tread carefully and fully understand ARMs. That’s why we are giving you a rundown on how they work and what you need to look out for before you sign on the dotted line. Remember, not every loan is right for every person and it depends on your particular financial situation, goals, and home buying plans (not your neighbor’s, mom’s, or co-worker’s). We are always here as a resource to go over your options and what might be best for your particular financial goals and life plans. What is an ARM and how does it work? For a certain time period, an ARM acts just like your standard 30-year fixed mortgage since payments are the same and the interest rate doesn’t change. This initial fixed-rate period can be for 1 year to 3, 5, 7, or 10 years — you get to choose the timeframe. The current standard is 5 years or a 5/1 hybrid ARM. ARMs differ from fixed-rate mortgages in that the interest rate and monthly payment do not stay “fixed” for the length of the mortgage but fluctuate or “adjust” at some point during the life of the mortgage. After this fixed-rate period, the rate is adjusted each year and the new payment is based on market indexes. The new rate and payment are calculated by determining what the index value is and then adding a margin to that figure. How are they less risky? Buyers no longer need to be as wary when the rate starts to adjust. Lenders protect borrowers from extreme rate changes with payment cap limits, either with an annual cap or life-of-the-loan cap. That means that you will know upfront what interest rate your loan could never exceed and how often it could change and by how much. You need to make sure you read your closing documents for all of the specifics. For example, most ARMS have a cap of 2% at the first adjustment date and a lifetime cap of a fixed number, such as 10%. That doesn’t mean your loan can jump to the max amount. The interest rate you will get at the adjustment date is based on rates at that current time. The caps are just an added layer of protection: No matter what happens with interest rates in 7 years at your first adjustment date, YOUR rate will not go higher than 2 percentage points than what it is today. Why are they a good alternative for some buyers? Simply put, an ARR can be cheaper and more affordable. Even though fixed-rate mortgages are historically low (they track 10-year Treasuries), they are higher than ARMs. The Federal Reserve is keeping short-term rates low and ARMs track those rates (1-year Treasuries). An ARM may be your ticket to homeownership if a fixed-rate is derailing you. An ARM is good for buyers who plan to move in the next 5 or 7 years before the loan’s fixed-rate period ends. A 30-year fixed-rate loan may actually cost more for those buyers who don’t want to stay put in one home for a long time. 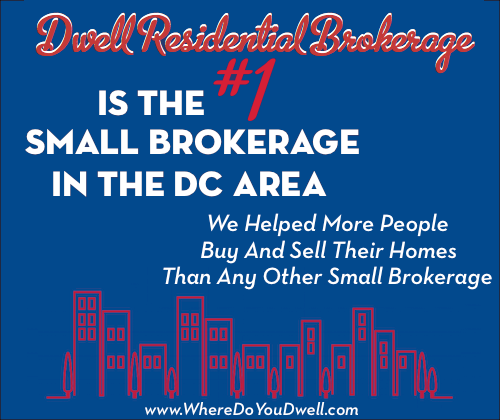 For example, if you live in a small condo but your family is growing, an ARM will help you move to a larger home. You will be able to take advantage of lower monthly payments for several years with the ARM instead of renting. If you’re in a highly transient profession, like the military, and expect to relocate or transfer, the ARM is a short-term product that could fit into your plans. If you plan to stay in your home for only 5 years, you really won’t be able to take advantage of the guaranteed rate of a fixed long-term loan. Instead, you can choose a 5/1 hybrid ARM — one that is fixed for 5 years and then adjusts upward. You will shave several percentage points off of the fixed 30-year rate, and as the 5 year adjustment draws closer, you already know that you will be moving on, and likely selling. Can homeowners trade in a fixed loan for an ARM? Yes, you can trade your current loan for an ARM. You’ll lower both your interest rate and your payments over the short term. If you’re a savvy homeowner, you can pay down your mortgage with the money you saved by getting an ARM. Your loan will be much more manageable and you will also be able to cope with any rate changes. Who should avoid an ARM? ARMS are not for everybody, especially if you’re not a confident borrower. If you’re uncertain about your income rising right along with housing prices when your ARM adjusts, you may be more comfortable with a fixed-rate loan. If you plan to stay in your home for the long term, say 15-20 years, it just doesn’t make sense to pay a higher mortgage bill after 5 or 7 years. Do I have enough income to cover higher mortgage payments if interest rates go up? Am I taking on other sizable debts (a loan for a car or school tuition) soon? Will I make any additional payments or pay the loan off early? ARMS are definitely not for everyone. We just wanted to offer it as one of many options that are worth looking into and deciding for yourself instead of listening to headlines from years ago.